I have had a lot of people ask me about the details of my wedding and I really wanted to take today to share a little bit with you. Today my husband and I celebrate three years of marriage and I would love to share one of the best days of my life. Planning this wedding changed my life. We set a date to get married 11/12/10 and I dove head first into wedding planning. I helped friends with their weddings and fell in love with weddings when I was a flower girl for the first time at age 4. I knew I would enjoy the process but I never imagined I would love it this much. I planned the wedding entirely by myself (BEFORE PINTEREST!) and put as much of My husband and I's personality into as possible. 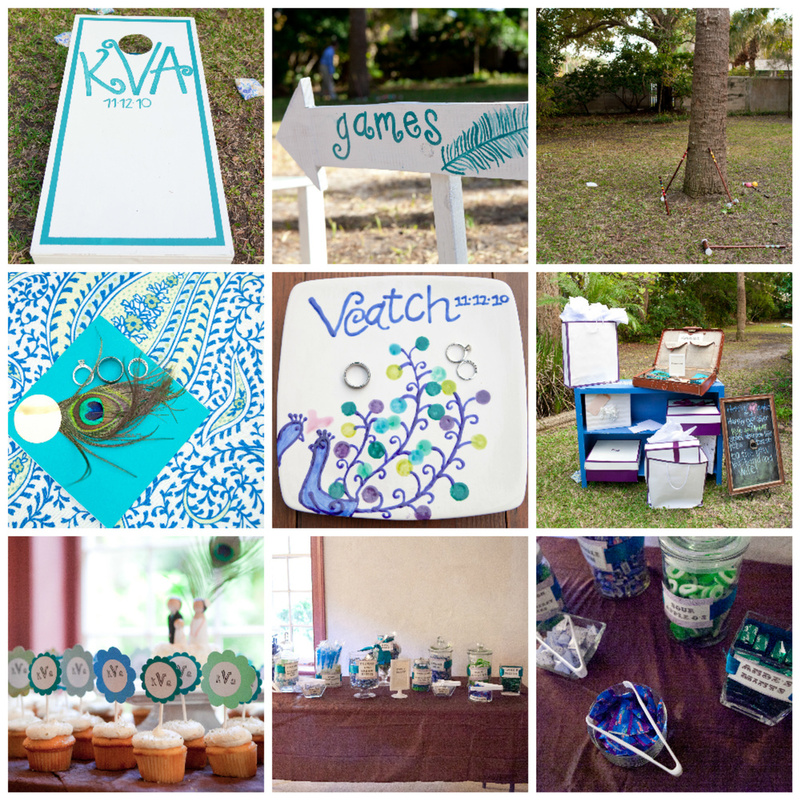 What we wanted: We wanted a laid back wedding where we could really celebrate with our closest friends and family . We aren't too big on tradition. 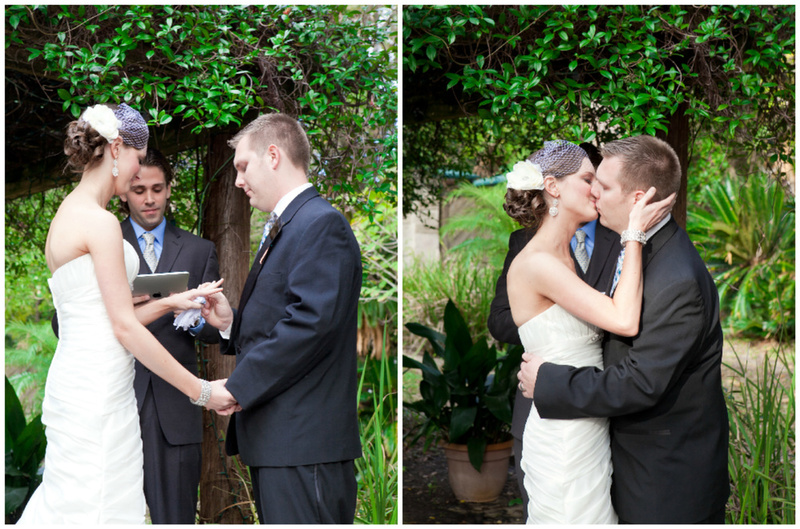 In my head I kept imaging a beautifully backyard wedding that was elegant but still fun and not too stiff. But, I didn't think I would really be able to pull off a wedding in a backyard somewhere. 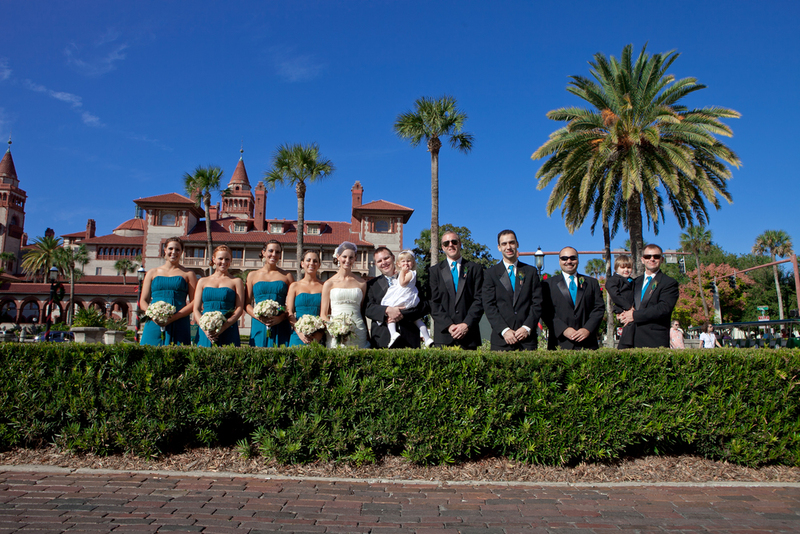 When I was about twelve, we visited my aunt and uncle in St. Augustine, Florida and I fell in love with the city. Call me silly but I decided on that trip that one day I would get married there! Fast forward and I ended up moving there to go to college and find the man of my dreams, how convienent. I did a lot of research and found Llambia's House. 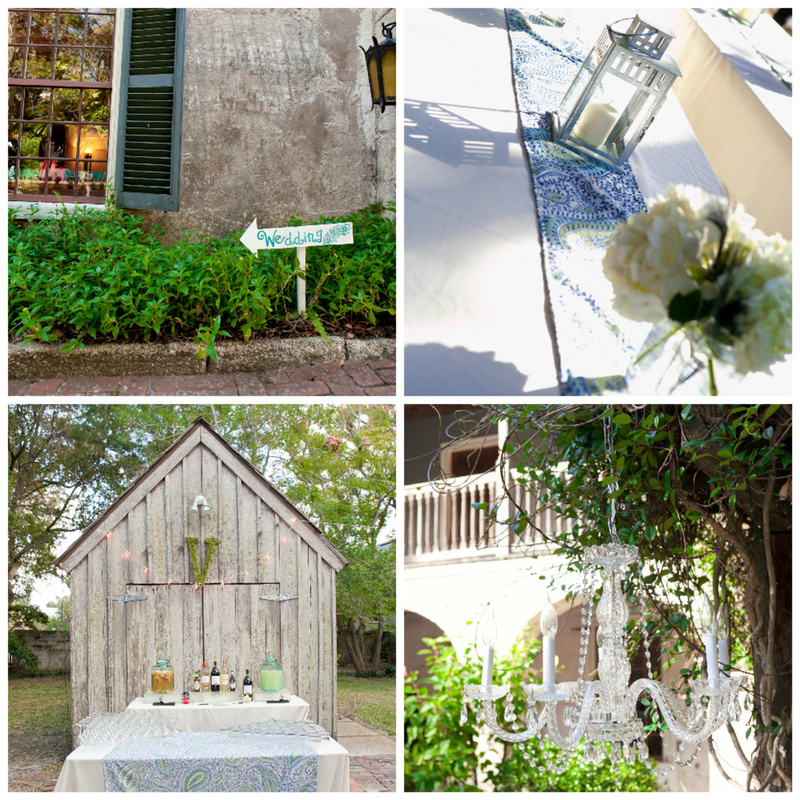 It is a National Historic Landmark, a house built in the 1700s and the event space is the gorgeous backyard of the antique home. We looked no further and booked right away. I was constantly on wedding websites and blogs and was bombarded by complaining brides and I didn't get it. Yes, planning a wedding is incredibly stressful. There are so many big decisions to make but I just loved every minute of the process. I made as much as I possibly could and when it was all done with the help of my lovely mother-in-law and bridesmaids we ended up making the table linens, table runners, programs, cake topper, cupcake toppers, candy buffet labels, welcome bags, flower girl bouquet, boutonnieres and all the wooden signs. Just months before our wedding, in May my mom was diagnosed with brain cancer and given two months to live and she passed away on July 3rd. Our wedding day was the first time that our families were all together and happy since then. Weddings and marriage hold an even more special place in my heart since our wedding because of it. Before my mom passed away I would call her and tell her the wedding projects I was working on and she was always so amazed with my abillity and creativity. She encouraged me after each conversation to do something with these talents and after our wedding when I started having "wedding planning withdrawl" I decided to persue a career in the wedding industry. Being married has been the best experience for me. I still get excited when I spontaneously remember that I get to spend the rest of my life beside Kyle. He is the perfect partner for me and nothing makes me prouder to be his wife. That is my hope for everyone. That I can help you start your forever with your partner by creating an event that truly showcases you as a couple. Getting married is so much to celebrate and that is why I love being a part of this industry. Getting ready location: Casa Monica Hotel First look location: Flagler College Wedding Venue: Llambia's House Photography: Jess Cumbie Photography Day of Stylist: Portia Gibbs Catering: Mai Oui Gourmet Flowers, cake, cupcakes: Whole Foods, Jacksonville Groom's Cake: Wendy Schwab Rentals: Taylor Rentals Lighting: St. John's Illuminations Linens: Handmade by mother of the groom Lawn games, signs, programs and event design by the bride and groom. This picture is one of the most important ones. I was so nervous that I would get emotional when it was time to put on the dress because I would have my mom to help. Without even asking my maid of honor and two year old daughter hopped up and helped me out. That means more than they will ever know. I will treasure this picture forever! These girls will always hold a special place in my heart. I highly recommend a first look to everyone. 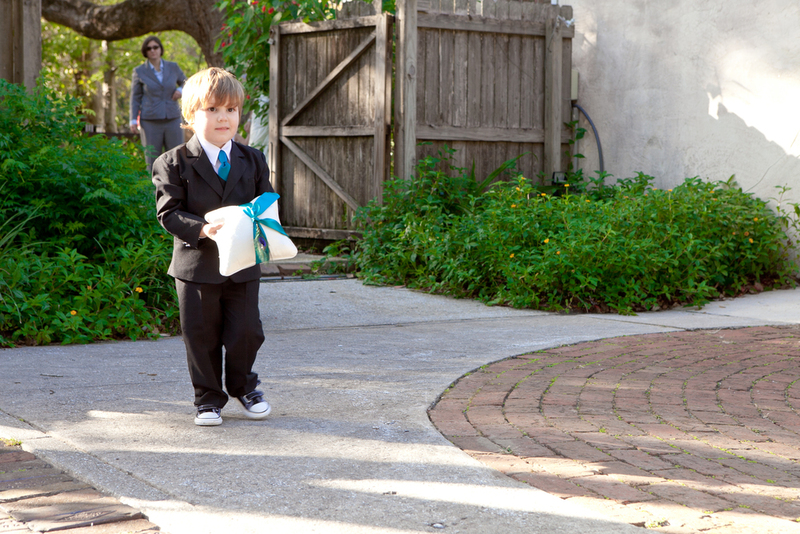 Madilyn practiced being the flower girl for almost a year. At this moment she quit her job and decided to walk me down the aisle. It is one of the best memories of my entire life. Kyle is a big fan of the movie Ghostbusters. 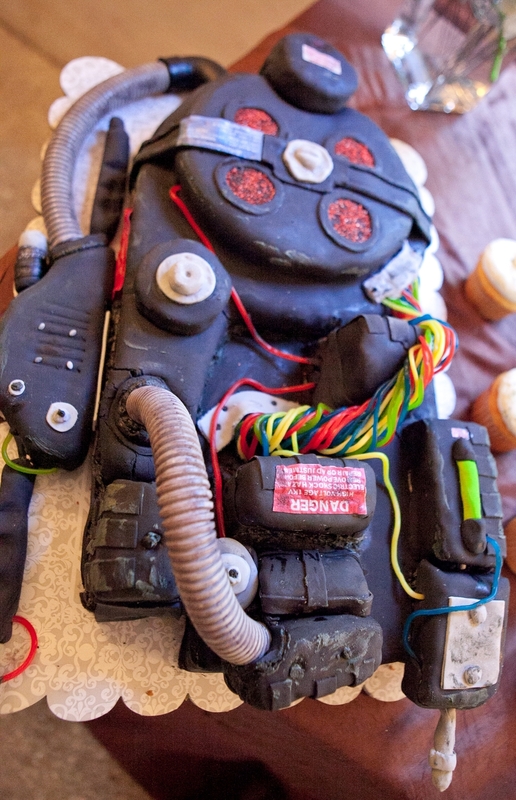 For his groom's cake I asked an incredibly talented friend, Wendy Schwab to make him a proton pack groom's cake. Needless to say he was blown away.